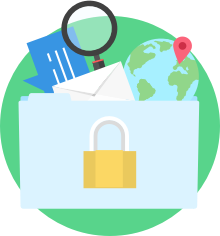 VPN software encrypts and secures your Internet connection, preventing the government, hackers and third-party snoops from viewing your online activity, personal communications and data. With VyprVPN you can connect to any of our 70+ server locations and keep your IP address, location and Internet traffic private. Unsecured Wi-Fi hotspots are a threat to Internet privacy and security. These Wi-Fi hotspots are often found while traveling, in places like hotels, airports and coffee shops. Using unsecured Wi-Fi networks puts you at risk of exposing personal information to third parties or snoops, so it's essential to secure your connection with a VPN. 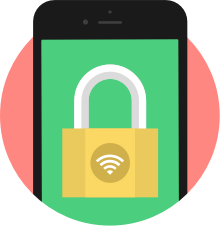 VyprVPN, the best VPN software, encrypts your Internet connection and keeps your data private when using your mobile or desktop devices. 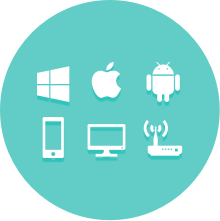 VyprVPN offers sleek, cutting-edge apps for Windows, Mac, Android, iOS, TV and Router so you can secure your desktop and mobile devices in seconds. Our apps are fast, easy-to-use and stable with time-saving features like one-click connect, one-tap server selection, and a ping test to choose the fastest server.